*Updated with rclone-changer fork compatible with Python 3.5 and higher to avoid failing to create volumes with the label barcodes. This tutorial aims to deploy a working Bacula Storage Device to the cloud, using rclone (https://rclone.org/) and the rclone-changer script (https://github.com/wanderleihuttel/rclone-changer). The last one presents cloud stored virtual tapes as a sort of a VTL to Bacula. 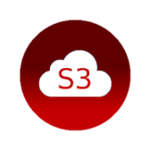 Amazon S3 was used for this and we have notice of working Oracle Cloud and Google Drive deploys. It should work with all the rclone supported advertised cloud storages: Amazon Drive, Amazon S3, Backblaze B2, Box, Ceph, Dreamhost, Dropbox, FTP Google Cloud Storage, Google Drive, HTTP, Hubic, Memset Memstore, Microsoft Azure Blob Storage, Microsoft OneDrive, Minio, OVH, Openstack Swift, Oracle Cloud Storage, QingStor, Rackspace Cloud Files, SFTP, Wasabi, Yandex Disk and the local filesystem. Now it is time to access your cloud storage and fetch programmatic access credentials. It is time to deploy rclone-changer. Edit and verify that the python version and the rclone-changer directories are correct and the Linux bacula user is allowed to write to them. You can also change the number of slots your virtual robot will have. What is the EBacula (Enterprise Bacula)?